“Light Shall Lift Us” has a simplistic yet profoundly, fulfilling beauty in text and music alike.” And so, Gabriel Preisser — Executive & Artistic Director of Opera Orlando — introduces Paul Moravec’s newest choral work which premieres on September 11 at the Walt Disney Theater at the Dr. Phillips Center for the Performing Arts. 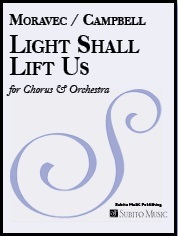 Light Shall Lift Us is a four-minute work scored for soloists, chorus and orchestra, and features texts by award-winning librettist and Moravec-collaborator, Mark Campbell. 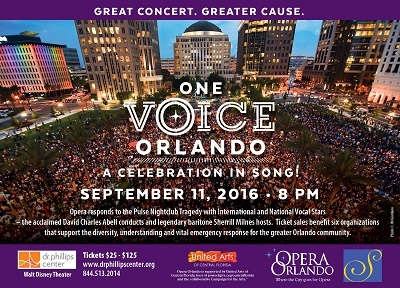 The work was written in response to the June 12, 2016 Pulse Night Club Tragedy, and both composer and librettist have dedicated the “work to the victims and survivors, as well as to their friends and families.” The premiere is a highlight in Opera Orlando’s special season-opening event “One Voice Orlando: A Celebration in Song,” a collaborative evening that will benefit the vital infrastructure that supports diversity and understanding in the local community. Upcoming: Moravec’s next world premiere takes place on October 28 at Carnegie Hall’s Zankel Hall, when George Manahan leads the American Composers Orchestra in the first performance of The Overlook Hotel Suite.